1. Put all the ingredients into a preserving pan. Slowly bring to the boil until the sugar has dissolved. 2. Simmer for 1½-2 hours, stirring from time to time to stop the chutney sticking to the pan. 3. When it is very thick and you can draw a wooden spoon across the base of the pan so that it leaves a channel behind it that does not immediately fill with liquid, the chutney is then ready. 4. Put into sterilised jars, seal and cool. 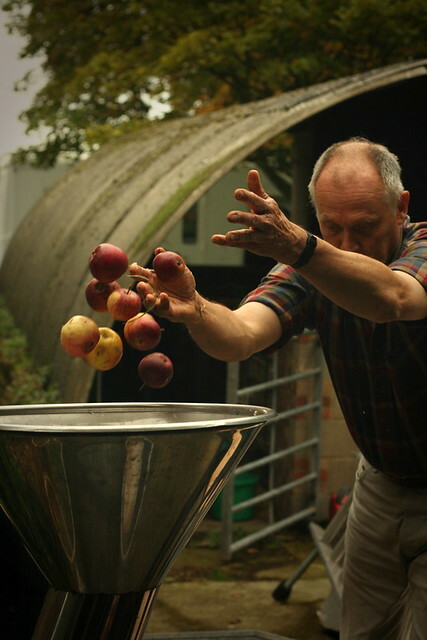 A food blogger in Suffolk took a fantastic selection of photographs over the weekend, it captures the essence of what makes cider making and the traditional process of pressing apples so special. A perfectly timed break in the wet weather cleared the way for a wonderful Saturday gathering apples from a favourite orchard in Suffolk. Can’t even begin to tell you how sweet, perfumed, fresh and alive this stuff tastes. 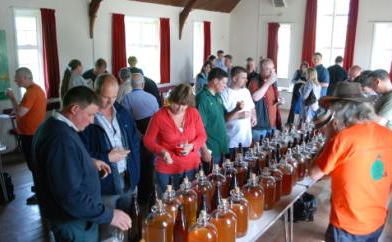 The results of the International Cider Challenge 2010 are in. This is the first year of the competition and it attracted over a hundred entries. Drinks International recruited a panel of cider experts to blind taste the ciders, which were then awarded trophies and medals. The overall trophy winner was Merrydown Medium Cider. Judges were Simon Russell from Inside Media, Helen Thomas from Westons Cider, David Sheppy from Sheppy’s Cider, drinks journalist Guy Thornton, cider historian James Crowden and PR consultant Deborah Collinson. 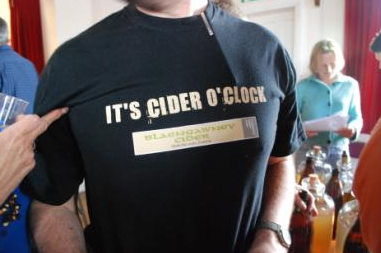 Chairman of the judges and Drinks International editor Christian Davis said: “We had cider from all over the world, including Czech Republic, US, South Africa and Canada. We were really pleased to have such a good response – especially from an international perspective. People think cider is an English drink but the competition demonstrates that it’s truly international. If you can try and track down some of these fine international award winning ciders! People are enjoying local and ‘real’ food more now than ever and with that demand comes interest in what is contained in the food, or rather what isn’t. As well as where it is made and the methods used to create the final product. This is certainly the case for traditional real cider. 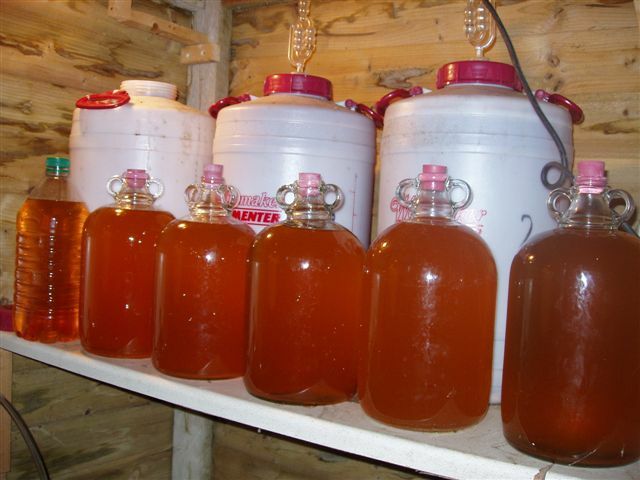 * Some cider’s may be heat treated to halt further microbial degradation of the cider. Researchers have found that cider apples contain high levels of phenolic acids, which have the potential to protect our bodies against cancer, strokes and coronary heart disease. One has to remember, of course, that just because a limited amount of something is good for you – let us say two pints – it doesn’t mean that 10 pints is five times as beneficial. The quick answer is “concentration of sugar in water”. Pure water has an SG value of 1.000, although this may be sometimes expressed as 1000 (dropping the decimal point). The more sugar dissolved in the water, the more viscous (or “syrupy”) the liquid becomes. This in turn gives a higher SG reading. Around 3lb of sugar in 1 gallon (8 pints) of water will give about 1.100 SG (commonly expressed as 1100). 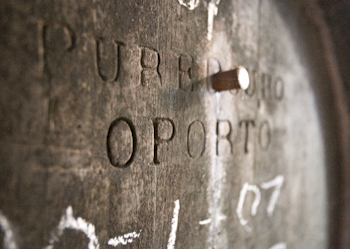 The SG that is achieved after the addition of sugar, but before the fermentation begins, is known as the Original Gravity – this phrase is common in the brewing of beer. With cider making, the sugar naturally occurs in the fruit. So none in needed when you first press the apples. However, if you require a conditioned – sparkling cider – then you will need to disolve sugar into the cider you siphon from a fermentation vessel into bottles. Cider happily fermenting in the shed! 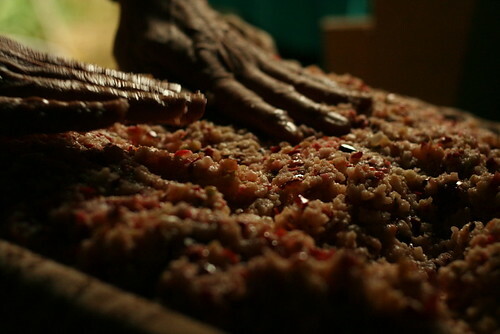 The general idea is that the fermentation process will turn all of the sugar into alcohol. This represents a reduction in the SG (remember SG measures concentration of sugar). The amount of reduction in SG therefore represents the amount of conversion to alcohol that has taken place – and can be therefore be used to determine the % ABV. Typically, however, the final SG can be either side of 1000, if the fermentation has ended at 1005, this would represent a sweeter cider that one which ends at an SG of 1000, or even 995. The lower the final SG, the less residual sugars are present, and therefore the dryer the cider. SG readings of below 1000 are common, and this is due to a technicality – alcohol being less dense than water, which affects the reading that a hydrometer will take.